-2- What's that off in the distance? Ash Wednesday? I DON'T KNOW WHAT YOU'RE TALKING ABOUT. Ash Wednesday, yes. It heralds the beginning of Lent, but this year it heralds something else as well, so I'm kind of ignoring it right now. It's my birthday (of all the coincidences...) and this year I will turn, ahem, 40. :-\ It is what it is, I'm not exactly looking forward to it, but on the other hand my life has never been better, so why not celebrate? And celebrate I will. It seems to me that milestone birthdays mean that your birthday fun should last all year, no? No mere single day party for this birthday girl! I have plans, and I will share them closer to the day, stay tuned for epic fun. :0 But back to Lent! I'm sure that I'll be doing some good stuff on the blog in commemoration. So stay tuned! My kids really enjoy the rituals that I incorporate into our home life as reminders of our faith, and I thought that my current foray into a stream of good novenas would be nice to include them in. 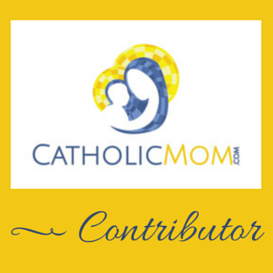 I plan to start that this weekend with the St. Blaise novena, see take # 5 below. :) Henry has always enjoyed lighting a votive candle when we pray, so we'll likely do that. I need to come up with a good time to do all of this since Anne goes to bed earlier than Henry (thus a general bedtime theme won't work) and on Fridays I'm not even home for Anne's bedtime since I'm at dance rehearsal. I'm thinking after dinner, and after the kitchen is cleaned up. Maybe we could do this right in the living room? I will experiment and report back in. The fact that they will try to annoy each other and argue during the proceedings ("Stop it HENRY!!") goes without saying. Keeps things interesting, to be sure. -4- St. Francis de Sales, to the rescue! So, my first novena of the year was St. Francis de Sales, which wraps up today. I had a specific intention that I was praying for involving his patronages of teaching and writing, and I feel it is being answered. I love when that happens. 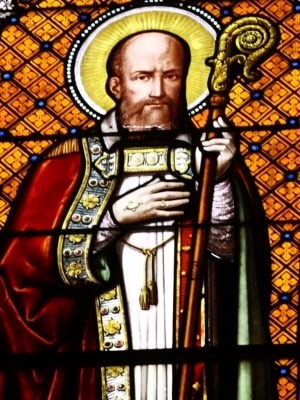 :) His feast day is tomorrow, so that's a great day to wing up a prayer for the intercession of St. Francis de Sales if you have an intention for him! -5- Get your throat requests ready, novena to St. Blaise starts Sunday! OK, so I mentioned that I want to pray this novena with my children. 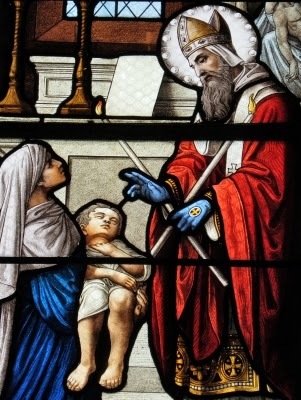 St. Blaise is known for being the patron of those with ailments of the throat, due to his intervention with a boy choking on a fish bone back in the day. But he is also the patron of children generally, so some great intention fodder right there. Hence the reason I want to include Henry and Anne in this novena as I will be praying for them. As I mentioned, the novena begins Sunday, runs through February 2nd (feast of the Presentation!) and I have created a special page with the prayers included. Pray along with me leading up to his feast day of February 3rd! -6- The Adoration chapel is...OPEN! I have a new Ordinary Time goal of getting to Adoration weekly, even if I can't spend a full hour. Hey, a Holy Fifteen Minutes benefits everyone. ;-) And this week, despite some snafus in the past with the chapel being closed, it was open and all was good. I really feel a difference when I go to Adoration. No visions are appearing or anything, but it's like I'm better able to deal with things that come up and feel at peace with how they turn out, even if they didn't turn out the way I originally anticipated. Classes start here again on Monday, and I'm hoping that the work-related busyness that will inevitably ensue won't interfere with this new weekly joy. -7- Catholic Book Club coming on Wednesday! Next Wednesday is our scheduled Catholic Book Club day for January, and this month we're reading Mother Teresa: Come Be My Light, edited by Brian Kolodiejchuk. This is certainly an ambitious title for our Ordinary Time :) and I look forward to discussing it with all of you come Wednesday. If you've read the book, please do prepare to chime in with your comments! "MOMMY. Are Princesses Elsa and Anna going to be there? Can I hug them, Mommy, and kiss them?! I want to make a drawing for them Mommy!!" I will talk to you all on Monday with details. 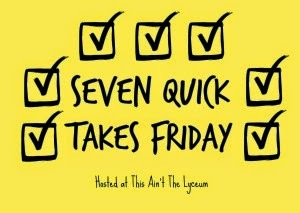 And do check out other 7 Quick Takes over at This Ain't the Lyceum! Get out! You are exactly 8 months older than I am. I like you even more than I did before.